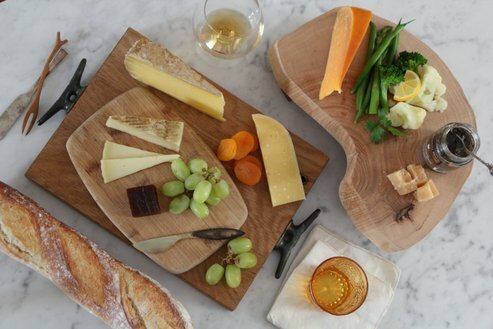 Rock Star Cheese Pairings from Essex St. | Blog | Di Bruno Bros.
Rock Star Cheese Pairings from Essex St. If you’ve picked up a copy of Di Bruno Bros. House of Cheese, then you know that there is a chapter called “Rockstars.” Many of the hunks in that chapter come from a single import company, Essex St., in New York that is famous for rocking the American market with some of the best European artisanal cheeses. Every Essex cheese is, in a word, astonishing. The product line is limited but carefully cultivated–a philosophy touted by the late, great founder Daphne Zepos, a woman credited for training many of the great cheese professionals across the country. Today, her legacy continues, and to celebrate her spirit Di Bruno Bros. has begun to host an annual Rock Star Dinner that benefits a scholarship fund in Daphne’s name. This year, it will be on Thursday, June 26. 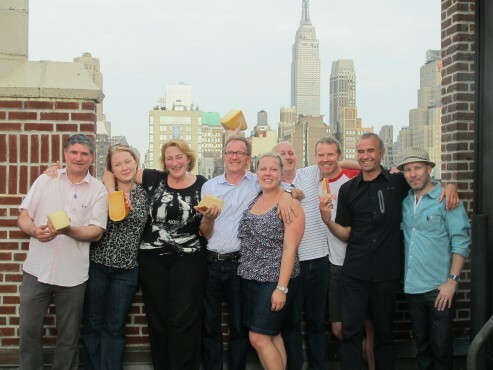 Click here for tickets to the International Cheesemakers Rock Stars Dinner. As you might guess, the annual Rock Star Dinner showcases great Essex St. imports, and each course features a different cheese. Want a preview? Read about the different producers below, then try recreating our Essex St. cheese board! Since 1855, Giorgio Cravero’s family has selected and matured Parmigiano-Reggiano in Bra, Italy. He works directly with a handful of farmstead cheesemakers who rely exclusively on local forage, an increasingly rare phenomenon among Parmigiano-Reggiano makers. The wheels mature for a year at each farm, then Giorgio moves them to his aging rooms in Bra and carefully oversees their development for another year or more. His aging rooms and his care are legendary. 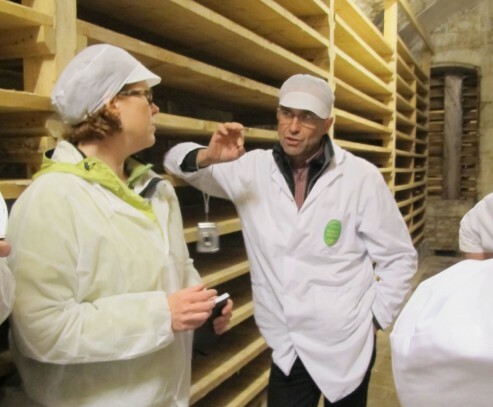 For over two decades, Philippe Goux has worked with Marcel Petite, France’s leading Comté affineur (a person who oversees the aging of cheese). From his home in Eastern France, Philippe has led hundreds of cheesemongers and makers through the details of making and aging the legendary 80-lb. 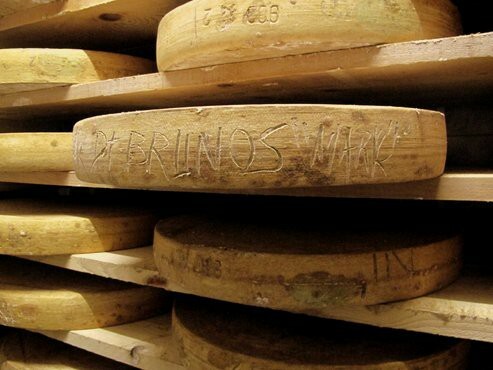 wheels of Comté at Fort St. Antoine, the cellars where France’s best Comté is aged. 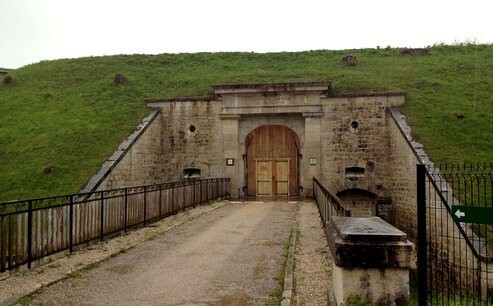 The Fort, a military stronghold built into a hillside, is attended by a legion of affineurs in white lab coats who oversee the wheels. In 1989, Betty Koster founded Fromagerie L’Amuse with her husband Martin. 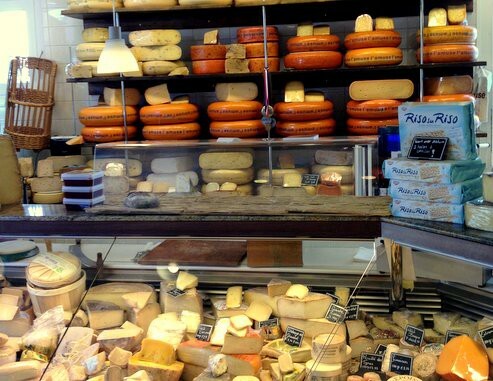 Their shops in Santpoord-Noord and Amsterdam feature rare, small-production Dutch gems like Wilde Weide and the unusual goat gouda, Brabander. 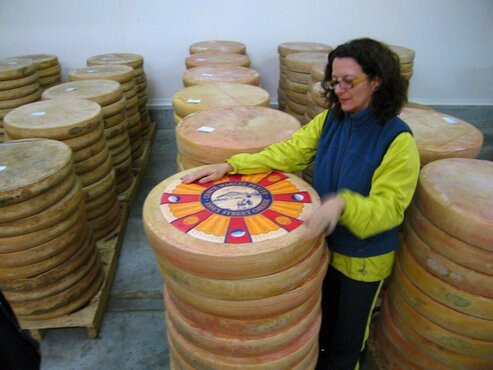 Betty’s long-term connections to Dutch farmers, cheesemakers, and affineurs have given her access to an unparalleled range of cheeses. She exports a handful to America, including her signature two-year warm-cellar-aged Gouda L’Amuse. 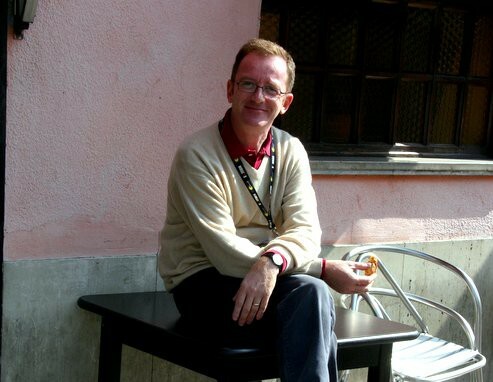 Since 1996, José Luis Martin has been a writer, teacher, and advisor to cheesemakers and mongers throughout Spain. 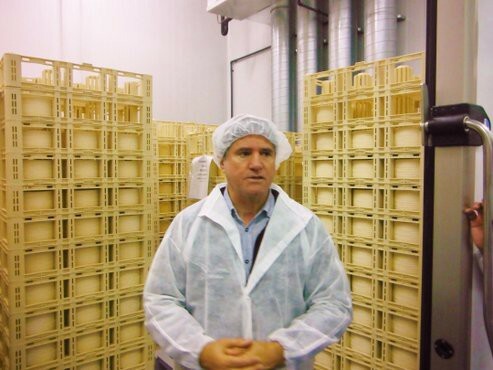 Pictured above is José Luis deep in thought, set to perfect his next wheel of Manchego! 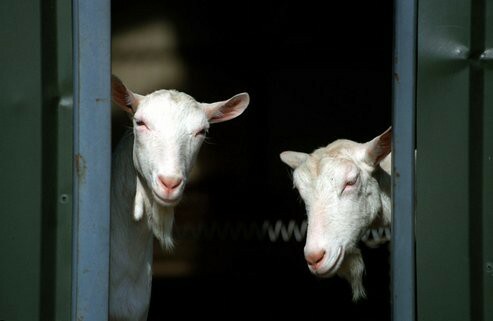 Prior to that, he spent two decades making award-winning farmstead organic goat cheese from his own herd in his native Extremadura. He operates a renowned shop, La Fromagerie, in Madrid’s San Miguel. He also works closely with the farm and maker at Sierra de la Solana Farm in La Mancha who produces one of only three raw-milk, farmstead Manchegos in all of Spain. His Manchego 1605 is exceptional. To create our Essex St. cheese board, we reached out to members of the company and to the producers themselves to find out their favorite combinations. With cheeses this good, you’ll want to pair and share them—not grate or cook with them. Why it works: This small-batch, organic raw-milk Gouda is so complex, it can stand up to dark spirits. In fact, the cheese itself tastes a little bit like whiskey. Try the cheese first; let it melt on your tongue, and note the range of flavors. Then take a sip of whiskey. Eat the apricot to refresh your palate. Why this works: Membrillo, or quince paste, is a classic Spanish pairing for Manchego. The sweet acidity of the paste offsets this luxe sheep’s milk cheese, which is mellow and slightly salty in flavor and has a very creamy mouthfeel. The Spaniards say, “Grapes and cheese taste like a kiss.” Hence, this juicy addition to the pairing. Why this works: Betty told us that she likes to serve “baby red potatoes, barely cooked, in a thin mayonnaise with cream, thin slices of Signature L’ Amuse, thin slices of truffles, dried pancetta and fried parsley.” We’ve simplified the pairing by serving steamed red potato halves topped with bacon-y L’Amuse Gouda and a touch of jarred truffle cream. Why this works: Philippe loves to pair Essex St. Comté with fruity white wine or sparkling wine and fresh, young summer vegetables. Try serving blanched or steamed asparagus, green beans, and cauliflower. The gentle flavors of the vegetables let the complexity of this earthy, sweet Comté shine. Leah Lewis of Essex St. recommends melting Brabander on a pizza with spinach, garlic, and sundried tomatoes. When tasting Parmigiano-Reggiano, Giorgio Cravero loves to serve Prosecco as an accompaniment. Its effervescence cleanses the palate. Grab tickets to this incredibly special event.